Welcome to my blog. 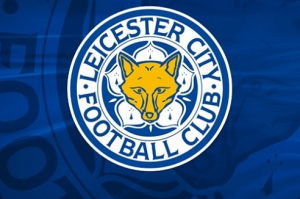 I am a huge fan of the Leicester Football Club and I decided to write a blog about all of my favourite players, as well as the team itself. The players that I talk about here are all exceptional, and the team they play for is perfect. They’ve had a long and difficult history, and as witness the team’s results they have proven many times that they will not be beaten. Sure, like any other team they don’t win every match they play, but that doesn’t really matter. Leicester City is one of the toughest teams I have ever seen and I think everyone should know a thing or two about them. 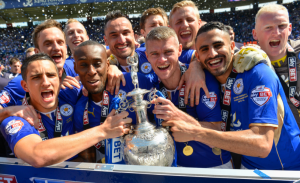 A team is nothing without their players, and the Leicester Club has a roster that is almost unbeatable. The team captain, Wes Morgan, plays for the Jamaican National Team, and he has taken his team to new heights since he joined in 2012. Another notable player is the goalkeeper, Kasper Schmeichel, who comes from Copenhagen. He joined a year before Wes and has helped his team a great deal. There are many other impressive players as well. The top scorer, RiyadMahrez, is a difference maker, and Islam Slimani has the current record for most assists. The list is very long, actually, because there are so many great players on this team, and you have found the right place to learn about all of my favourites. Read on to find out more. The team itself has had a long and difficult history. In this blog I get into their history a bit, but their current successes are the most important thing, especially if you like to bet, like I do. The team is playing in the Premier League and they have a very good chance at making their mark big time. Someone asked me why I would spend all of my spare time creating a blog about my favourite team, and I was a little bit surprised with my own answer. I didn’t even have to think about it, and I told my friend that there was nothing that I would rather be doing. I love to write and I can’t get enough of my team, so creating a blog about City seemed like the obvious best choice when it came to how I wanted to spend my weekend. I am a big-time fan and I also bet very seriously. I do a lot of research on players, teams, their managers, and even the weather patterns over the cities that my most important matches are going to happen in. I am always on the lookout for things that can sway a match one way or another, and writing about my team is just plain fun. I hope you like my blog, and I am sure that after reading through my posts you are going to understand why I like this team so much.